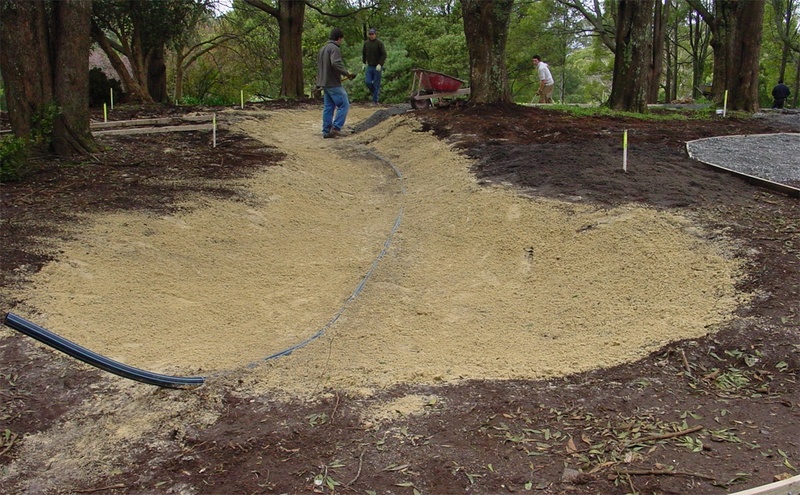 When building an outdoor water garden, you must also consider what to do in the event of overflow. An overflow can occur when you forget to turn off the hose during a filling procedure, or during heavy rain. This overflow water can potentially cause unwanted damage and flow to places you do not want it to be. A simple solution is to install an overflow pipe and set it to the maximum water level. This pipe can be connected to storm water or simply taken to an area of garden where excess water will not be an issue. The opposite problem to overflowing is filling. Your pond will lose water over time for many and various reasons, and during summer this can happen at an alarming rate. Some ponds are designed to dry out, while to other ponds this can be devastating. If you have fish or a pump that runs continuously, a dry pond is catastrophic. If you spend a large amount of time away from your pond and do not want to run the risk of the pond drying out, you can install a simple float system (similar to a toilet cistern) which will keep your pond filled to a desired level.